Daniel Canogar, Tendril, 2017, Flexible LED screens, metal structure, computer, generative video animation, Permanent public art installation in Tampa International Airport, Tampa. Photo by Sofía Montenegro. Daniel Canogar, Sikka Ingentium, 2017, 2400 DVDs, 5 projectors, 12 speakers, amplifier, 35 min, video loop. Photo by Sofía Montenegro. Courtesy of the Collection University Museum of Navarra, Pamplona, Spain. 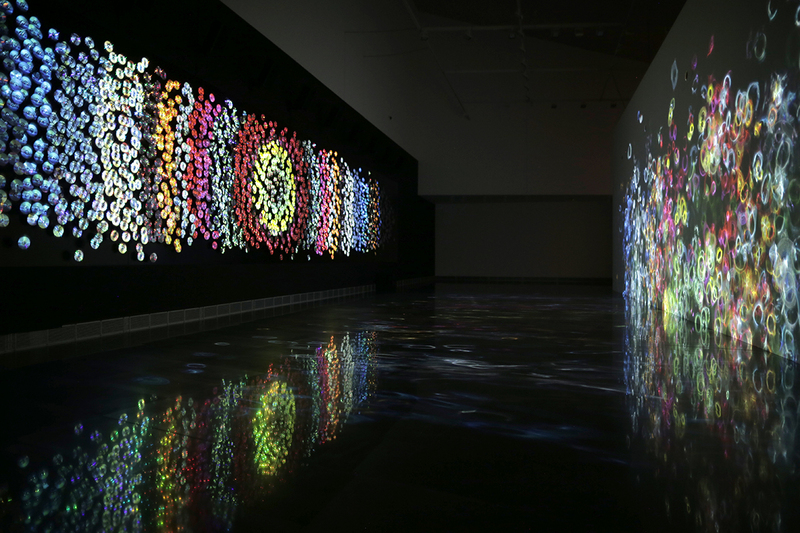 Daniel Canogar, Ripple, 2017, 12 meter screen, 3 projectors, computer, generative video animation created with live data from news webpages. Photo by Sofía Montenegro. Daniel Canogar, Qwerty, 2015, Wood shelf, salvaged keys from keyboard, projector, 3 min video loop. Photo by Sofía Montenegro. 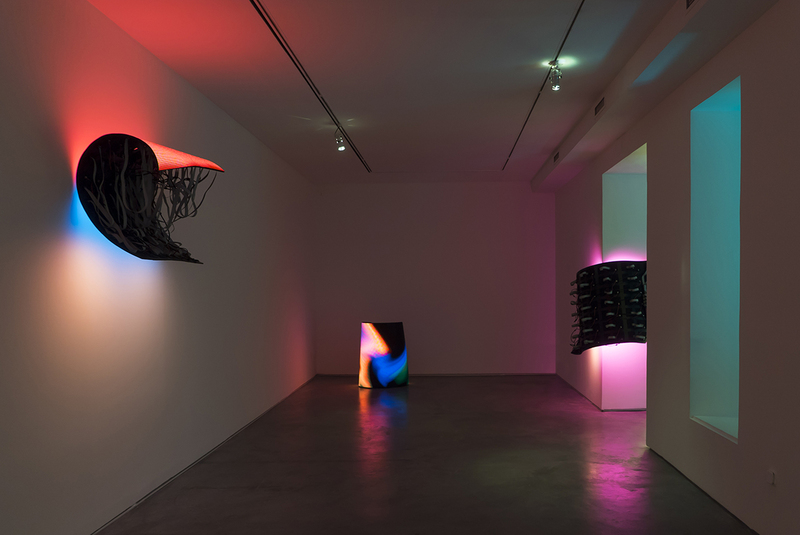 Daniel Canogar, Echo series, 2017, Flexible LED screens, computers, metal structures. Photo by Sofía Montenegro. 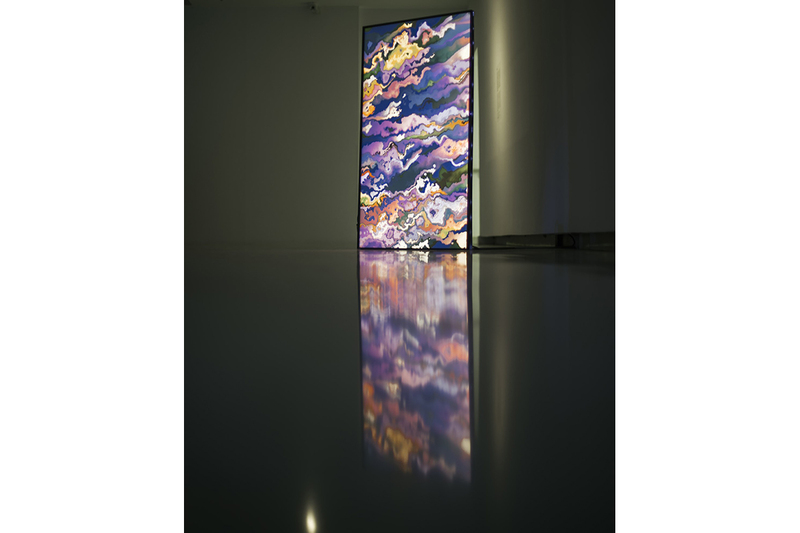 Daniel Canogar, Draft, 2018, 65 inch screen, metal structure, computer, generative video animation distorting Declaration of Human Rights text by live wind data from the city where document was signed in 1948, Paris. Photo by Sofía Montenegro. 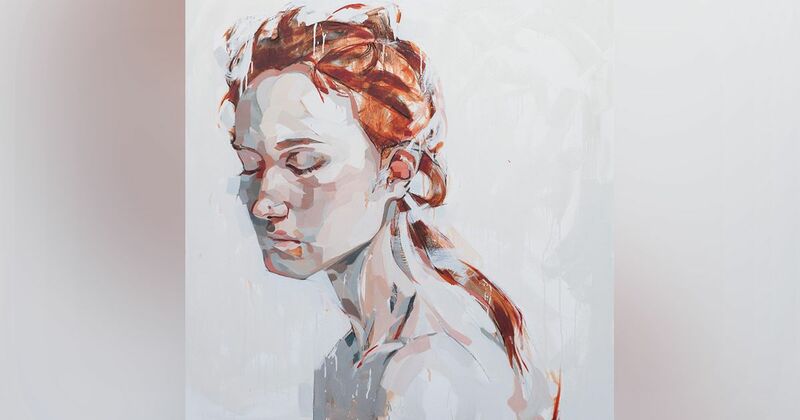 Daniel Canogar, born in Madrid to a Spanish father and an American mother, is an artist whose life and career have bridged Spain and the USA. Canogar presently lives and works in Madrid and New York City. Photography was his earliest medium of choice, but he soon became interested in the possibilities of the projected image and installation art. His fascination with the technological history of optical devices, such as magic lanterns, panoramas and zoetropes, inspired him to create his own projection devices. 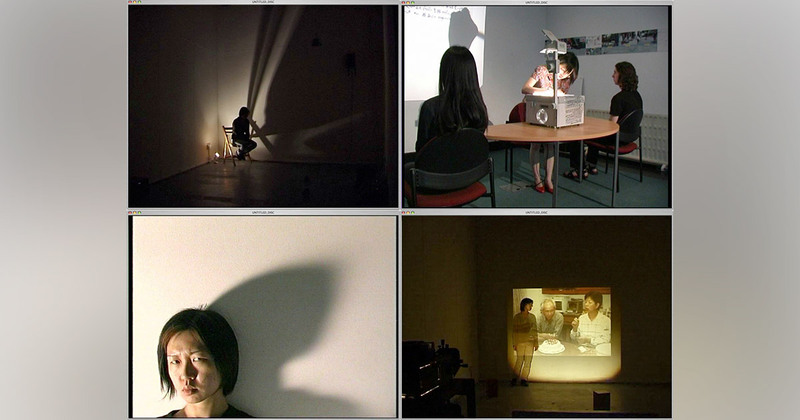 For example, in the late 90s he created a multi-projection system with fiber optic cables. The resulting artworks were mobile-like hanging sculptures that projected images onto the surrounding walls. 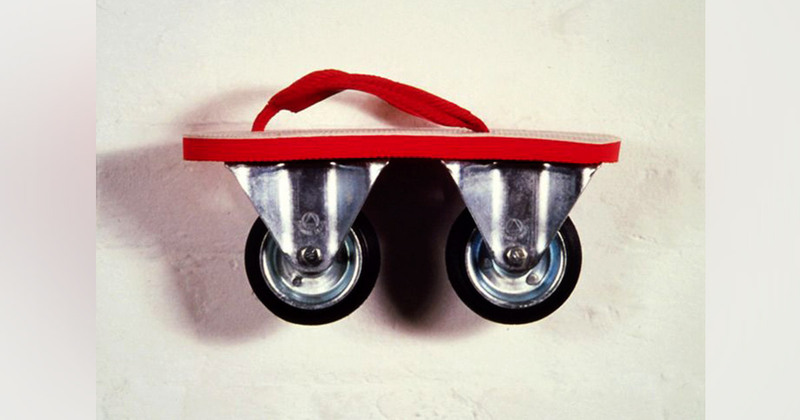 With the advent of digital technology, the artist continued re-conceptualizing visual media as sculpture. 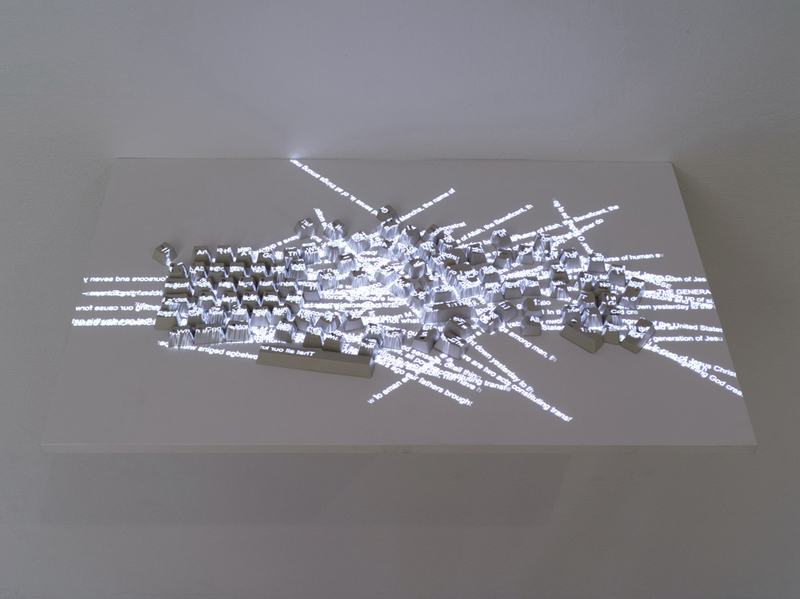 By projecting animations onto salvaged obsolete electronics, for example, he was able to metaphorically reveal the collective dreams trapped within DVDs, old calculators, video-game consoles or found computer hard drives. Also notable are Canogar’s public artworks using flexible LED screens. Like with fiber optic cables a decade earlier, he once again reinvents an existing technology to suit his artistic explorations; by fabricating flexible LED tiles, he is able to create twisting ribbon-like screens for atriums and public spaces. Other public works include his Asalto series, projected onto emblematic monuments in several cities. Depicting climbing bodies, these projects reference historic events, such as the storming of the Bastille and the collapse of the Berlin Wall, or present migratory border crossings. 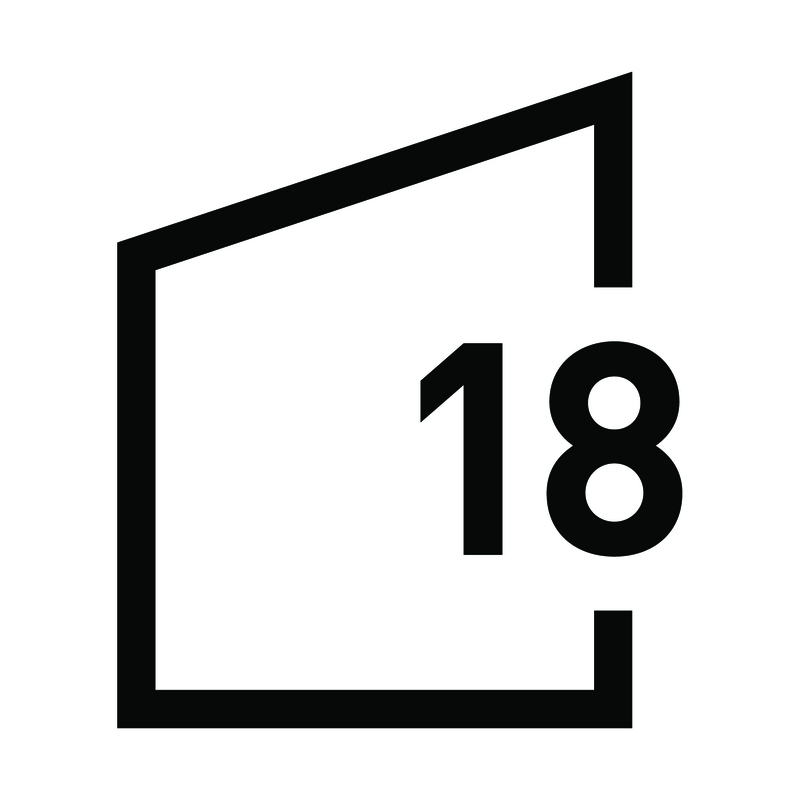 Daniel Canogar received an MA from NYU and the International Center for Photography in 1990.